The Air Force is considering a massive reorganization of its volunteer civilian auxiliary, the Civil Air Patrol, that would oust its civilian leadership and staff and replace them with a cadre of active duty officers and airmen. The plan, if endorsed by the Air Force leadership and approved by Congress, would mean the 60,000 unpaid volunteers, who conduct 85 percent of the nation’s air search and rescue missions, could not rise to the top ranks of their own organization. 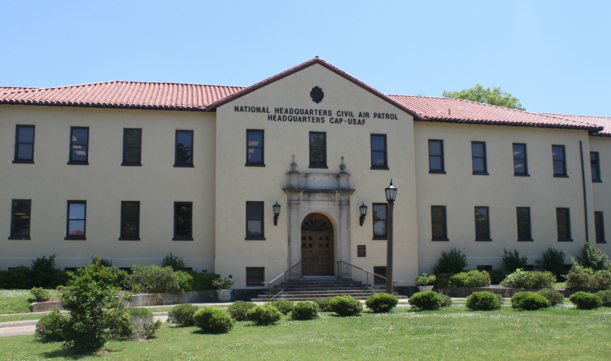 It would also eliminate many of the 103 civilian jobs at CAP’s national headquarters at Maxwell Air Force Base in Montgomery, AL, and replace the civilian board of directors with a 92-member command headed by a two-star general. The Montgomery Advertiser obtained details of the Air Force plan Thursday. It also learned Brig Gen James C. Bobick, the CAP’s national commander, has been summoned to the Pentagon Tuesday to be briefed. Bobick, however, stressed the CAP can spend its appropriation from the Air Force — $25 million in fiscal year 1998 — only on missions approved by the service. “We’re not allowed to spend any federal money without the Air Force’s approval,” he said. CAP officials told the Advertiser the auxiliary learned of the plan in January through a point paper received by accident at the Maxwell headquarters. CAP officials said they were told the paper was a draft and not formal Air Force policy. However, rumors persisted. They came to a head this week, after CAP learned the Air Force was briefing congressional leaders about the proposal. It follows two recently dismissed federal lawsuits and one current complaint filed by former civilian employees alleging sexual discrimination and wrongful termination by the auxiliary. Founded in December 1941 to patrol the nation’s coastlines during World War II, CAP is staffed by volunteers with Air Force uniforms and ranks. They pay dues, buy their uniforms and assume most costs. They receive no salaries or benefits from the Air Force. CAP was incorporated by Congress in 1946 as a benevolent, non-profit organization and, two years later, was named the Air Force’s auxiliary by federal law. It receives the bulk of its money from the Air Force but is governed by a civilian board. Its congressional charter requires CAP to operate a cadet program and offer aerospace education support to teachers. The CAP’s history and status as a civilian organization might pose obstacles for the Air Force. The change it seeks would require an overhaul of several federal statutes and entail the CAP’s National Board voting to dissolve itself and turn over the corporation’s assets to the federal government. The Air Force’s draft proposal obtained by the Advertiser calls for an Air Force general taking over for CAP’s national commander, now a civilian holding the rank of brigadier general within the auxiliary. The CAP’s vice commander, also a civilian, would be replaced by an active duty Air Force colonel. Active-duty Air Force colonels, now serving as liaison officers, would replace CAP members overseeing the organization’s eight regions and would oversee CAP’s 52 wing commanders — who are responsible for CAP duties in each state. Civilians would be barred from rising higher than wing commander. The Air Force would set all policy, rules and procedures for civilian members. The civilian executive director, who runs day-to-day operations, would be dismissed. In his place would be a national administrator, who would oversee the remaining civilian employees and functions not handled by the military. “To dissolve the very fiber of our organization by eliminating CAP as an entity and making it a series of sub-units (each wing) defeats the very essence and foundation upon which CAP was built,” Bobick said in a Feb. 5 memo to the CAP National Board. The draft plan also cites recent employee lawsuits as reasons for the Air Force to become more involved, saying the structure would insulate the service from legal action against the civilian corporation. Be the first to comment on "Air Force wants Control over Civil Air Patrol"